Facebook is launching its first dedicated app for watching 360-degree videos today, Facebook 360. It’s currently only available on the Samsung Gear VR, but it’s likely just the first of such apps to come. To be clear, the app doesn’t let you browse your News Feed or do other regular Facebook activities an stuff but it is solely on video. Still, with “more than 25 million 360 photos” and “more than 1 million 360 videos,” you should have plenty to do. You have the option to Like/react to the videos, as well as save or share. That said, it skeptical yet whether you can watch standard, non-360 video with the app. It seems like an unnecessary inconvenience to have to remove your VR headset and open up the traditional Facebook app just to watch other video’s you’ve saved. 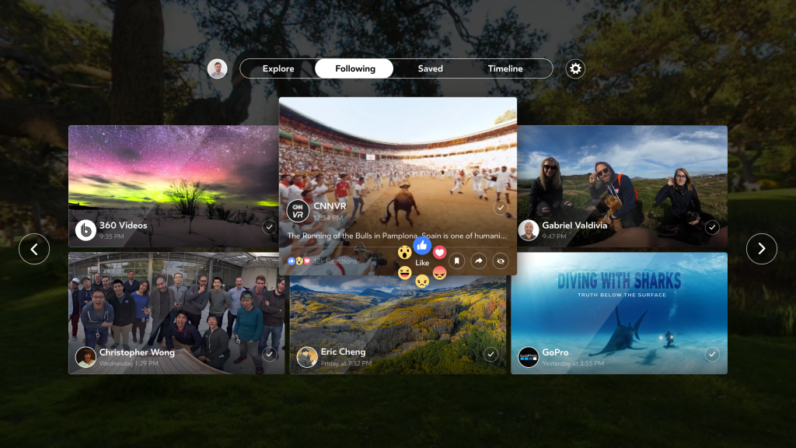 It’s also worth noting that you could already watch 360 video GearVR through the Oculus Video app, but Facebook 360 appears to provide a more organized solution to video discovery. It also puts Facebook video front and center, instead of being mashed up with content from other services. Is buying the next iPhone for $1000 plus really wise?